The beautiful sterling silver crown with your family name engraved will be prominently displayed above the Torah. name engraved will be prominently displayed in the Torah. The beautiful Sterling Silver pointer will be engraved wiith your family name. The beautiful Eitz Chaim Torah rollers will have your family name on sterling silver. The beautiful white High Holiday Torah belt cover will have your family name embroidered. 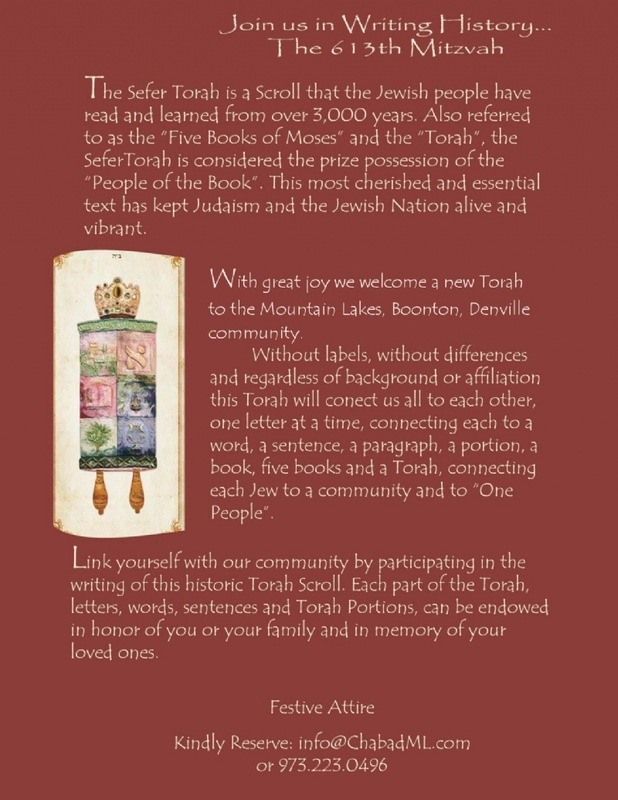 Endow a “Special Selection” in the Torah for your family or a friend. Each of these selections are of special significance in that they possess central themes of the Jewish faith or carry unique blessings and inspiration. Endow a weekly Torah portion for yourself, your family or a friend by choosing a Bar/Bat Mitzvah or wedding anniversary or in memory of a loved one by choosing the portion of their Yahrtzeit. Please indicate which portion(s) you would like to endow: How Many? Endow a Verse in honor of your family (or each member of the family) and/or in memory of loved ones. How Many? Endow a Word in honor of your family (or each member of the family) and/or in memory of loved ones. How Many? Endow a Letter in honor of your family (or each member of the family) and/or in memory of loved ones. How Many?